Phalaenopsis orchids are one of our favorite flowers, so whenever we have a bride who is obsessed with them just as much as we are it’s a match made in heaven. 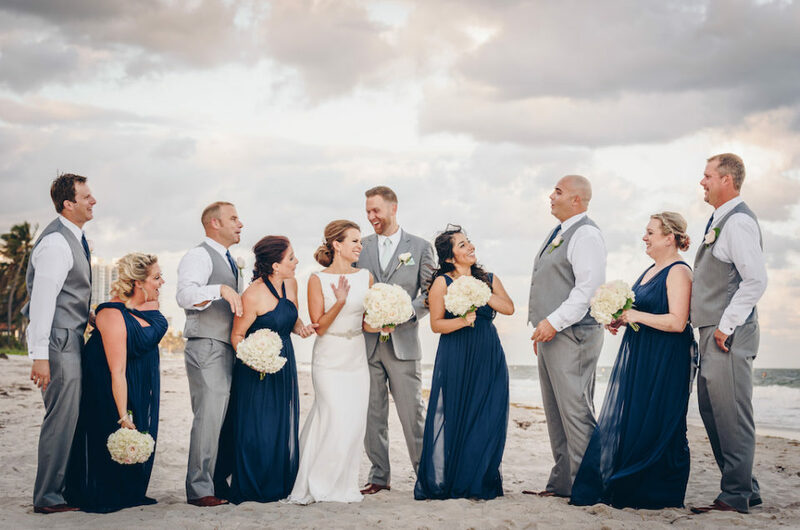 This wedding took place at the W Fort Lauderdale, which is a great choice for a contemporary wedding location with a beach view. Our bride wanted a mostly white wedding, with the only color being her bridesmaids pale pink dresses. 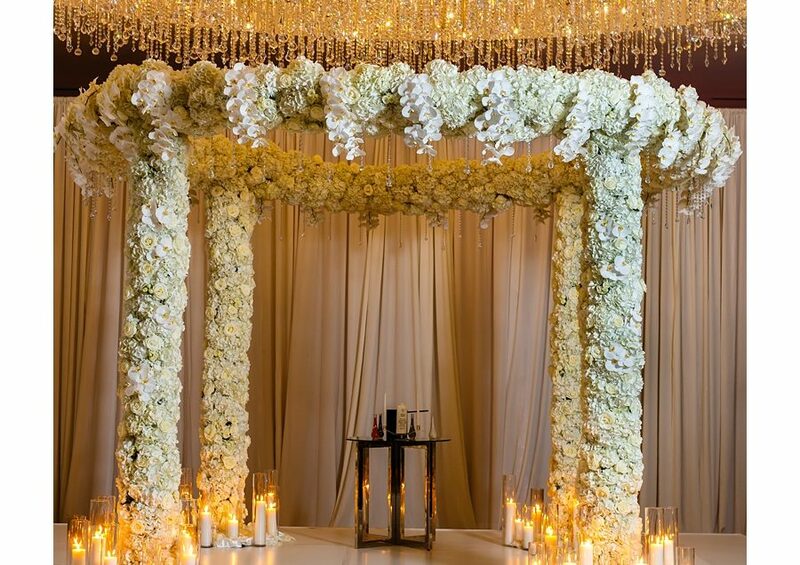 For the flowers we chose to use mostly white phalaenopsis orchids, white roses and white hydrangea. To add texture we used manzanita branches, which made a beautiful frame for the chuppah, and centerpieces. We loved the chic elegance of this wedding, and these great photos taken by Munoz really showcase the beauty of the flowers.